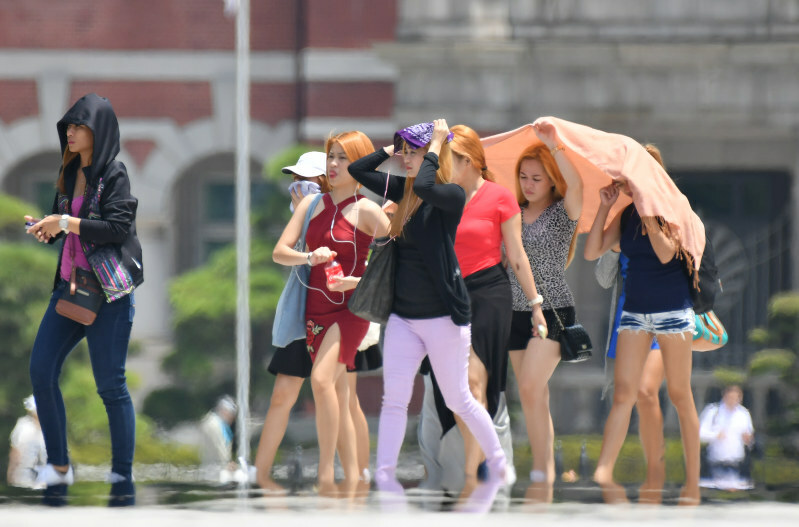 The Korean Meteorological Administration (KMA) said the country is undergoing an extended heat wave, with at least 15 days of temperatures over 35 °C (95 °F). Capital Seoul recorded 39.6 °C (103.2 °F) on Wednesday, August 1, 2018, making it the hottest day the city has seen in 111 years. The town of Hongcheon, in the northeastern province of Gangwon, recorded a record high of 41 °C (105.8 °F) on the same day, the highest temperature in South Korea since records began in 1904.